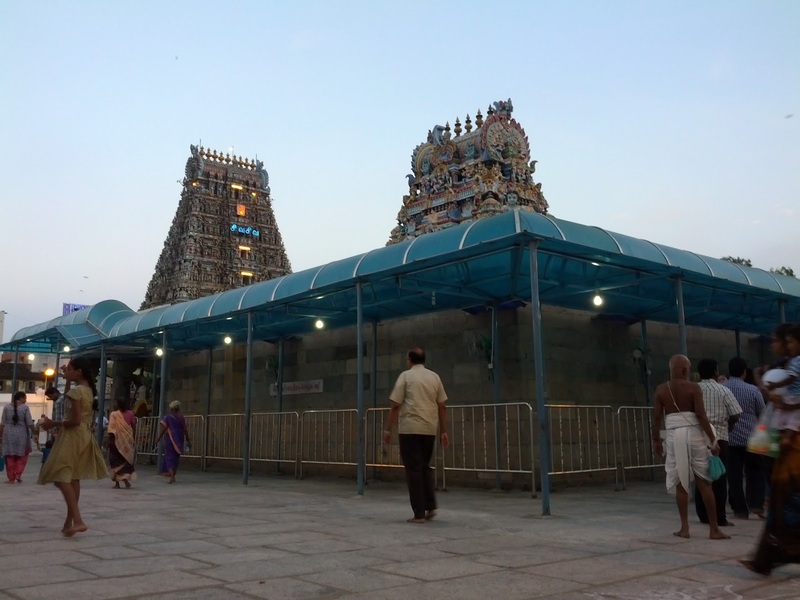 Ram Viswanathan: Namma Chennai - Public Shaming doesn't seem to work either..
Namma Chennai - Public Shaming doesn't seem to work either.. I heard about this 'public shaming' bill boards sometime back.. back got to see it action today at Mylai Kapaleeswar Temple..
TN Government run temples in trying the 'public shame' approach collect rent dues from its tenants. 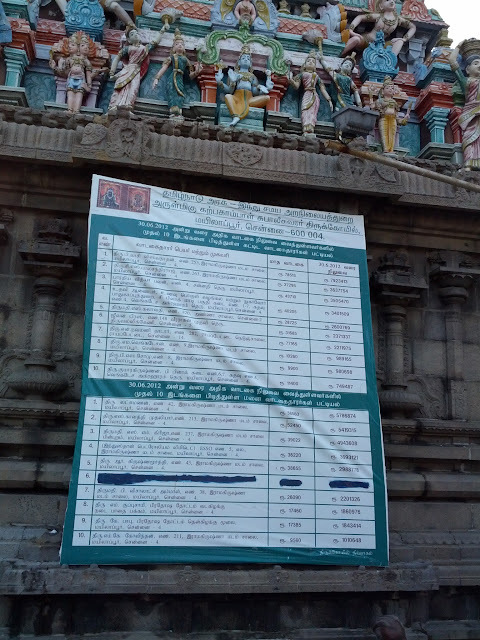 This notice in Mylai Kapaleeswar temple names the defaulters running to several lakhs including a Public Sector Company.. But this 'public shame' business doesn't seem to be working as the board is several months old and only one name has been blacked out.. I assume this guy must have paid the dues... or Did he 'pay' someone else take his name off?